AT&T recently added Volvo as the latest company whose cars will roll out with independent cellular connections. And AT&T's connected cars won't only be Volvos. The company has signed similar contracts with a list of car companies that is quite impressive. Other car companies with deals signed with AT&T include General Motors, Audi, and Tesla. Volvo says it plans on including cellular connectivity in its 2015 lineup of cars using AT&T's single SIM platform. It will use HSPA+, which is slower than LTE but still considered a type of 4G connection by AT&T. AT&T has been the most active cellular provider in terms of signing up car manufacturers. 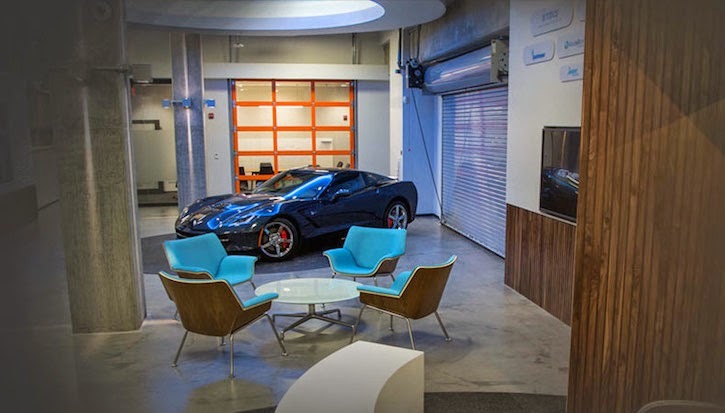 They even have a standalone facility in Atlanta called the AT&T Drive Studio (pictured above), which allows automakers to test out cellular services in their vehicles.